Over the weekend you will be in the capable hands of professionals who are some of the best in the business. 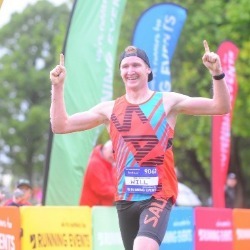 Will is a sports scientist, professional coach and elite endurance. Along with numerous podiums in endurance races around NZ Will has founded Performance Advantage in which he helps endurance athletes progress in their chosen sport. Sarah owns and operates 'Run Yoga', a yoga studio targeted specifically at endurance athletes. As a runner and multisport athlete Sarah understands the demands running puts on your body. Not only is Sarah a qualified chemical engineer and mum, she is also widely regarded in the field of mindfulness. 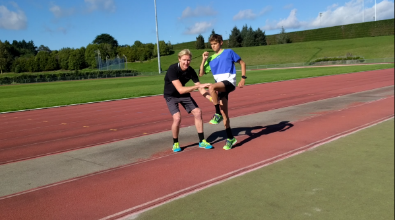 Without correct running technique you increase your risk of running related injuries. And as the saying goes "there's nothing worse than an injured runner". If you are able to identify your technique faults you can then find the appropriate drills to correct these faults. Correcting running faults can have profound results for your running. When we run we are working to unite various opposing forces. Factors such as poor posture, tiredness, over-training, stress and illness can send these forces out of balance, increasing the risk of overuse or acute injuries.? Yoga teaches us to notice and reflect on what is happening both within ourselves and in our wider environment. We can then respond appropriately to help improve our running and get ourselves back on track. Mindfulness and the psychology of running to your potential. Run Yoga has been a great addition to my running routine, especially when training for an event. I would recommend Will to any self-coaching athletes who need a little bit of advice about their training. Will has help me to the top of the sport. His knowledge an expertise are the best I've experienced.